How to Get to Xitang Water Town from Shanghai? Where is Xitang Water Town? Xitang Water Town is 90 km from Shanghai City, 80 km from Suzhou City and 100 km from Hangzhou City. It is one of the six most famous water towns in South China. 9 rivers converge in this town, dividing it into 8 sections, but many bridges link this water town together. Inside the town, there are many well-preserved architectural groups constructed during the Ming and Qing dynasties. For Xitang Water Town is located in the Golden Triangle Area of Shanghai, Suzhou and Hangzhou, it offers convenient transportation for travelers. There are a couple of ways by which you can get to Xitang Water Town from Shanghai downtown. The Shanghai Bus Terminal is located at 1666 Zhongxin Road, Zhabei District. it is near to the Northern Square of Shanghai Railway Station. There are eight direct buses leaving for Xi Tang Bus Station from 7:20 a.m. to 6:30 p.m. every day. And the journey takes about one and half an hour. So you want to go this way, you'd better go to the Shanghai Bus Terminal first to take the bus. In the square of Shanghai South Railway Station, there are buses leaving for Xitang Water Town from 7:10 a.m. to 5:54 every day. The bus departs every an hour and the journey takes about an hour. You can catch the tourist bus in the Travel Collecting and Distributing Center under the No. 5 escalator of Shanghai Stadium in Shanghai downtown. The bus here will depart at 08:35 a.m. every day and return at 4:30 p.m. And the price of the bus ticket includes the guide service. 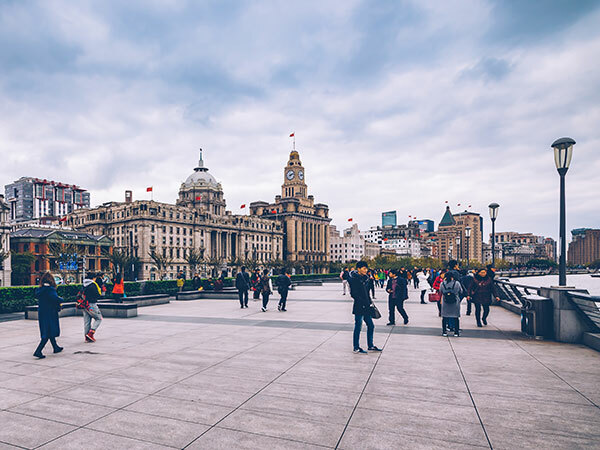 If you would like to take trains, you can take the train from Shanghai Hongqiao Railway Station to Jiashan County (30 minutes) first, and then go to Xitang by bus or taxi. There are many high-speed trains from Shanghai that pass through Jiashan South Railway Station every day. After you get out of Jiashan Railway Station, walk to the Insurance Building and turn left to get to Jiashan Bus Station for a bus to Xitang Water Town. The bus departs every 10 minutes. Alternatively, you could take a taxi to get to the water town for RMB 20-30.